Visual arts learning is key not only to the development of students’ imagination, expression, and observational skills, but to their cognitive and developmental skills as well. 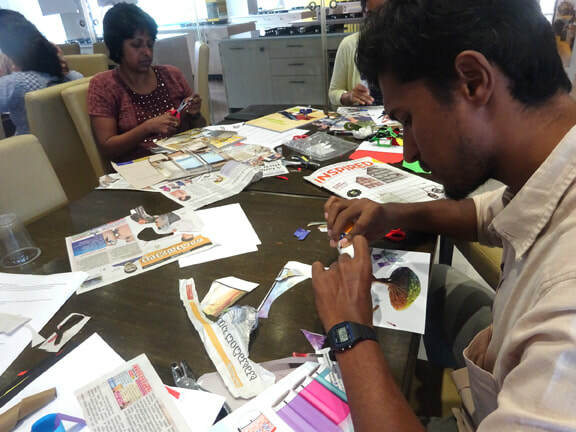 EdSparks Collective is a one-of-a-kind, 12-session professional development program for all those interested in exploring the full potential of the visual arts to transform student learning. 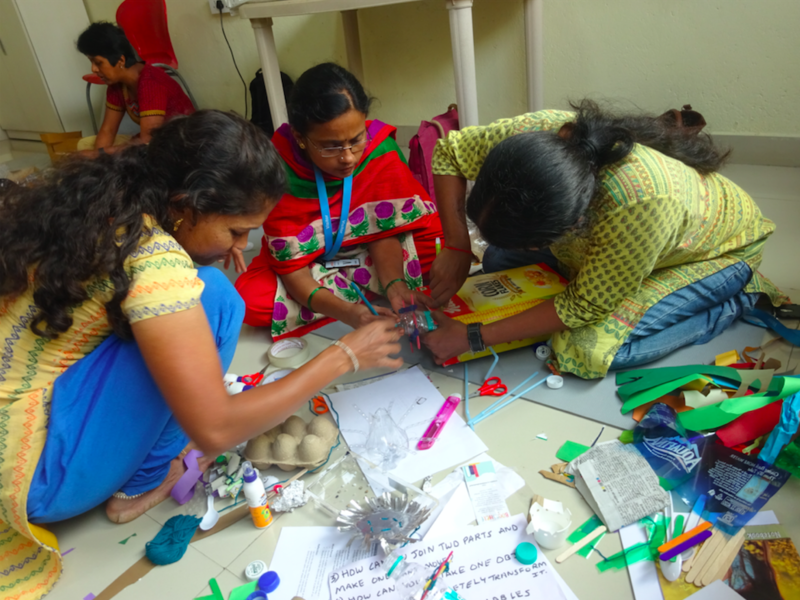 ArtSparks Foundation has impacted over 9,000 children and through EdSparks Collective we are committed to sharing our methodology with a wider audience. As a parent I’m passionate and curious about how children learn in today's world. EdSparks Collective, I must say, has been the best experience of my life, learning about how visual arts can play such a powerful role in educating children. The program opened my mind to a possibility that I only dreamed of. 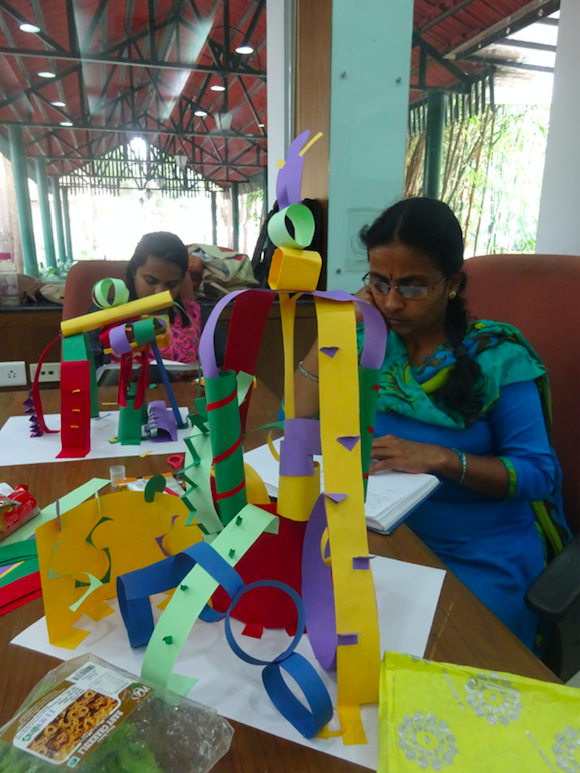 The hands-on sessions, along with the well-articulated resources, exceptional support, and rich discussions, gave me a real world experience of how visuals arts can be used in a learning environment. It has put into me a renewed passion for education using the arts. I had never realized the importance of art in education until my Manager had me attend EdSparks Collective. The program was an eye opener and I saw the wide spectrum of learning opportunities that art could bring inside the classroom. The opportunity to blend all the 21st century skills that we should be imparting to our students. The opportunity to enable students to observe, explore, communicate and critically think. As an educational NGO, we believe that this is what our teachers should focus on and this program helped us in imparting concrete knowledge with our teachers that they can implement in their classrooms. These learning experiences are most valuable because I am finding a lot of improvement in myself. And also in many of my students. For students I thought were below the learning level. That I thought they could not do anything, and that I decided myself that even I could not do anything for them. After implementing these learning experiences I am shocked by their performances. For example the student who never is interested in class, does not pay attention, and does minimum effort. I am now seeing him take leadership role, come up with the ideas for his group, and stay focused while executing. I am feeling so happy with the improvement. I am now seeing that a little experience is much better than long theory.